I’ve been reading aloud Emotional Intelligence 2.0 by Travis Bradberry and Jean Greaves to my 13-year-old daughter. It was a school assignment. She didn’t want to read it so we’re reading it together. Interestingly enough, it’s been really helpful. It’s helping AJ label emotions and also providing strategies to improve her emotional self-awareness and emotional self-management. In doing this, I’ve found meaningful emotional intelligence activities for kids that parents and teachers can use with their kids. “Emotional intelligence is your ability to recognize and understand emotions in yourself and others, and your ability to use this awareness to manage your behavior and relationships.” To do so successfully for adults is a significant predictor of success (being a high-performer in the workplace) and for kids is a predictor of academic success and positive social behaviors. Not just for adolescents, being able to name emotions is a vital skill for all ages of children. Author of Brainstorm, Dr. Dan Siegel says that if kids can identify their emotions (what he coins “name it to claim it“) then kids can use to that information to manage those emotions. 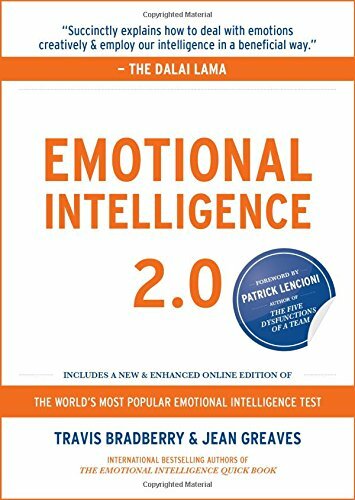 The authors of Emotional Intelligence 2.0 write that only 36% of the people tested were able to accurately identify their emotions as they happened. Yikes! Which means that only 36% of people tested were able to in charge of their emotional world. Hmmm. 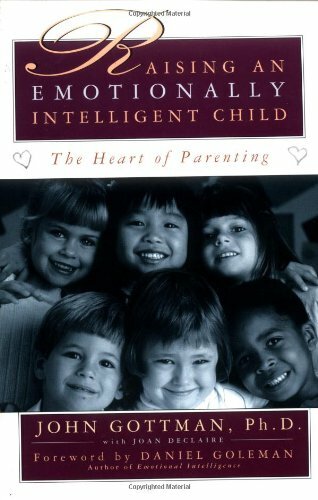 The impact of EQ (emotional intelligence) on a child’s life is significant. The good news? EQ can be taught, learned, and improved. Unlike the static IQ, emotional intelligence is flexible. Because when you ask your kids (which I do a lot), “What are you feeling right now?” and they say, “I don’t know,” probably they don’t know. As I’ve been working with my kids on mindfulness and EQ, I realized that I needed to explicitly teach my kids emotions, the names of emotions, because my kids weren’t able to identify their own feelings on their own. Somehow I thought they’d just “get” it — from modeling, reading, osmosis, or whatever. Not so much. Time to get on it. Time to help my kids with explicit, supportive activities to teach emotions. One of the most important things we can teach our kids about these emotions is THAT NO EMOTIONS ARE “GOOD” OR “BAD.” They don’t need to judge the emotions, just notice them and feel them. I like to call them uncomfortable and comfortable. I know, easier said than done. But trust me, this is SO important. If we label emotions as bad, we generally try to ignore or stuff these more uncomfortable feelings. Don’t. Just tell your kids to notice and feel. That’s it. Here’s a confession… I wasn’t feeling my feelings either (which I didn’t even realize!) until I started going to a somatic therapist. I used this same chart, stuffed in the back of my journal, to try to figure out what I was feeling. When I started therapy, it took me about two days to realize what I felt –two days before. Crazy, right!? After a lot of inner work, I am so proud to say that I can feel feelings in real time!! One thing I’ve learned from my daughter’s therapist (more on that below) is that the work I’ve done and continue doing is invaluable to my parenting. Why? Because I’m my daughter’s best example of healthy emotional expression. All of these activities are great — but they aren’t very helpful if I’m not an emotionally healthy role model. Try an emotions sort activity with your kids. See if you can use the table above to see where your kids are with identifying and understanding the different feelings. 1. Write the five basic emotions down on sticky notes or note cards. 2. Write down all or some of the emotions for each category. Cut those words apart. 3. With your kids, talk about each emotion and where it might fit in one of the 5 basic emotions categories. Put those emotions under the appropriate category. 1. When you’re reading a story together, try to label the emotions of the characters. 2. When watching TV or movies, pause the show and ask if your kids can tell by the body language and the words what emotions that person is feeling. 3. Use my free blank faces emotion printable coloring page to draw different emotions. 5. 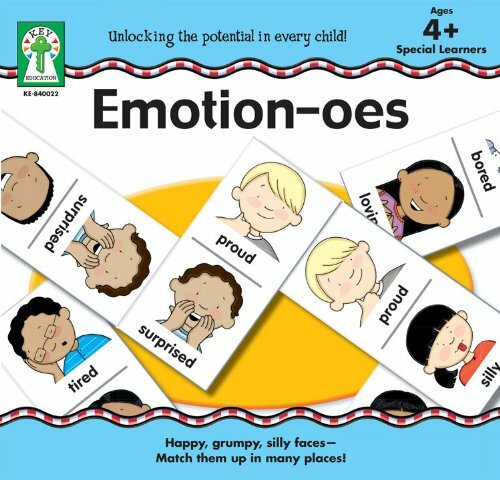 Use the free Emotion Cards from Autism Teaching Strategies to work on your kids’relating/empathy skills. 1. Watch the movie “Inside Out” and discuss. 2. Use family inspirational quote books to discuss and apply significant ideas. 3. Play Emotion-oes or the game Feelings in the Wild. 4. Read excellent picture books that relate to emotional intelligence topics or early readers that identify emotions. 5. Teach mindfulness to kids with the MindUp curriculum. 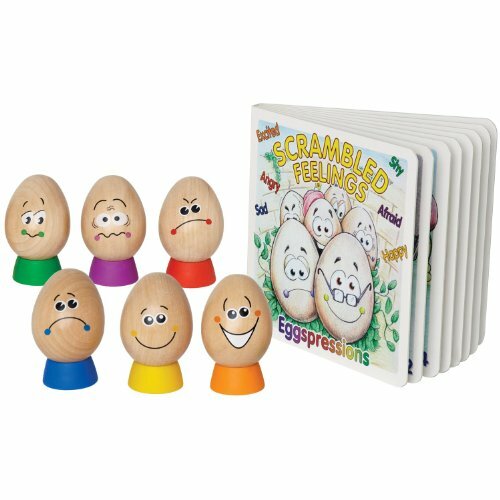 Emotion-oes Board Game My Feelings Game. 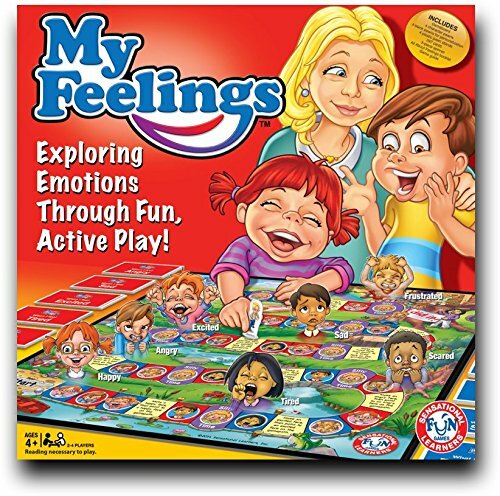 Fun educational family game to help kids express their emotions and learn self regulation. 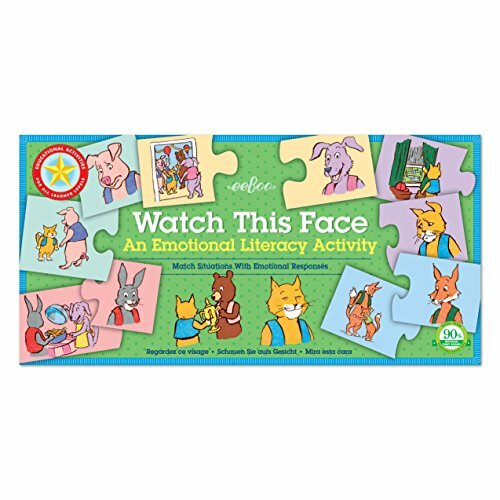 Endorsed by Dr Temple Grandin and other world renown clinicians and educators. Shop all these products and book recommendations on Amazon. My teenage daughter has always struggled with expressing and feeling her feelings. Maybe it’s her sensory processing disorder. Maybe it’s just how she’s wired. It doesn’t really matter why. She’s finding a great deal of support in seeing a good therapist. (It took us three to find the right fit.) There is NO SHAME in getting professional help. Particularly because as children grow up and enter the teen years, they look to other people besides their parents for wisdom. Who better than a wise, supportive, knowledgable therapist? A word of caution…make sure that you’re somewhat on top of what is happening in therapy. (This is so hard because of privacy.) Our first therapist asked me to come in for a session — which was great — because I got to see the therapist shame the heck out of my daughter IN FRONT OF ME. Thank you, next. I was horrified that we’d wasted 6 months with that lady but glad to know the truth. The therapist we have now also does neurofeedback which is why we picked her. That and she was highly recommended. It’s going really well and I see so much growth. We did have to wait (good therapists often have a wait list) but it was totally worth it. I’m not an expert on this process so you might check out this article on how to pick a good therapist. Is there an actual test that teachers or parents can use for children between the ages of 7 and 12? I am interested in a test that is easy to use, with basic vocabulary, for non-English speakers. Can someone please point me in the right direction? Today is my first day on your site and can I say I’m having a great time browsing around and reading post after post. Looking forward to digging deeper. As a mama of 6 you are providing insightful, practical tips. I look forward to visiting again. Great article! “Check out The Other Kind of Smart” by Harvey Deutschendorf. 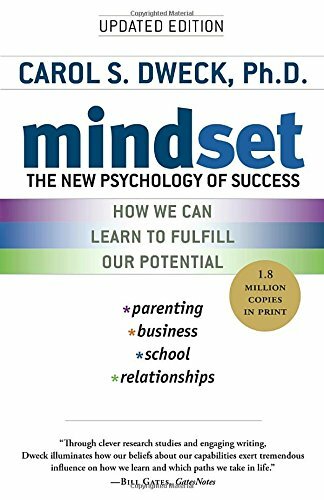 This book is written and explained in a simple, easy to understand format about emotional intelligence. It has helped me, family and friends with understanding the sometimes complex topic of emotional intelligence. good question! I suppose it depends a bit on whose chart you’re using for a reference. My therapist gave me a chart with the main headings of happy, sad, angry, scared, and confused as the main emotions then under each are related emotions with different intensities.